The first time we have tried reading theatre technic with my 3rd class children in this lesson. 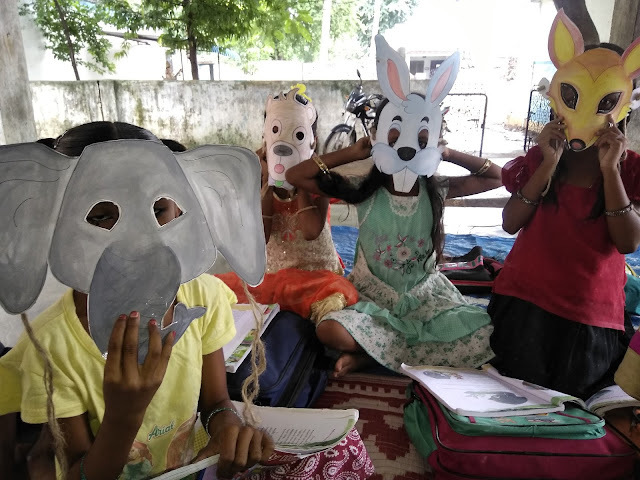 Roleplays give a holistic approach to the content and it will stimulate the learning characteristics of all type of learners. So I will plan wherever the chance to improve the language skills of my rural background children. Here is the great role play of one of the teaching technic "Reading Theater" by our children. You can find the entire unit transaction and innovative learning story wheel for this lesson and writing activity from below link. Please watch. 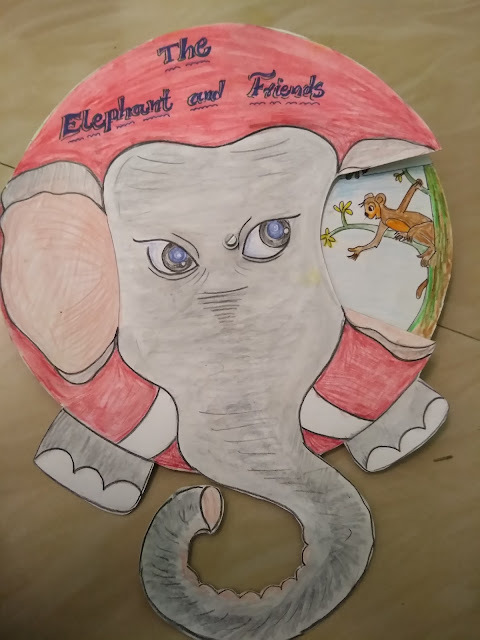 Innovative Story Reading Wheel -"The Elephant and Friends"
Lesson: The Elephant and Friends Class : 3rd Subject: English Language Skills: Listening, Speaking, Reading and Writing. First I thank PINTEREST for sharing this great idea. I developed this story reading wheel to teach the lesson "The Elephant and Friends" and it worked tremendously. Children easily narrate the story using this story wheel. This was a story of an elephant wandered in a forest for searching for friends. The Elephant met monkey, frog, rabbit, and fox asked them "Will you be my friend?". But they refused and replied, "You are too big." Then a tiger in the forest trying to gobble up all the animals. The elephant heard this and want to save the animals. The elephant went to the tiger and requested, but finally, throw with its trunk. All the animals thanked the elephant. I gave this listening input to my children and they grasped very easily and retell the story quickly.